Japanese robot maker, MJI, announces that they integrates human emotion recognition AI into their communication robot Tapia. MJI adopted Smartmedical's Empath, a vocal emotion recognition technology utilized in various business fields such as mental health, call centers, and entertainment. 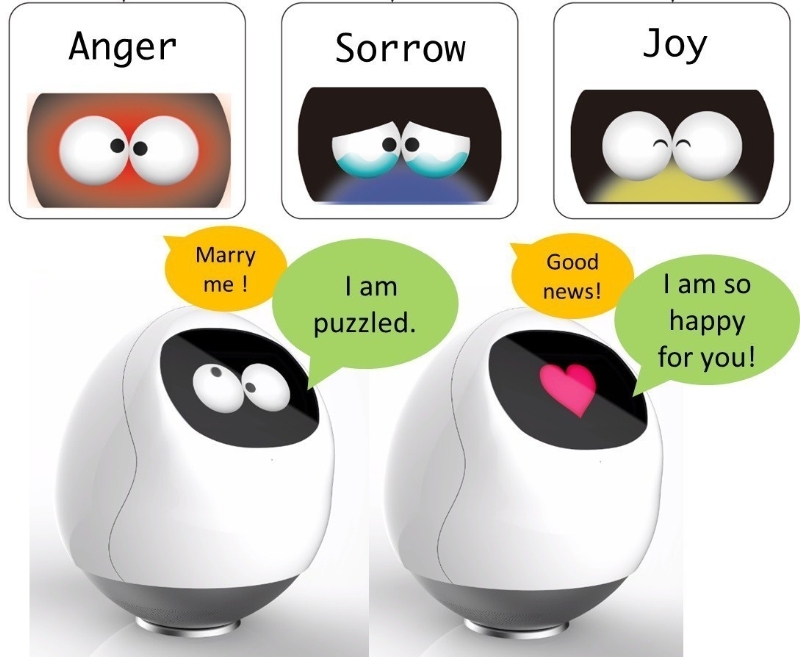 With Empath, Tapia can understand human emotion through dialogue with users: joy, calm, sorrow, anger, and vigor. "The global robotics market is expanding rapidly, and communication robots like Tapia have been developed all over the world and get a lot of attention from investors and consumers. However, communication robots cannot communicate well with humans since they cannot understand how we feel. It's very important for communication robots to understand human emotion because there is no communication without emotion," says Tony Shu, MJI's CEO. " With Smartmedical's Empath, Tapia can now understand users' emotions. For instance, when you are down, Tapia will cheer you up. Communication with Tapia becomes more human-like." By analyzing multiple physical properties of the voice such as pitch, speed, and volume, Smartmedical's Empath can identify emotion in real-time regardless of language. "Collaboration with the robot interface using speech recognition technology such as Tapia expands the possibility of communication between humans and robots," says Takaaki Shimoji, a Smartmedical board member. "Since the accuracy of speech recognition technology has significantly improved recently, the robot can better recognize and respond to what you say. However, the robot cannot understand how you say something. They cannot understand your emotion beyond language. Now, Empath enables Tapia to understand users' emotions. This is a great product with potential for the future of the speech recognition interface market."